National broadcasters have come out against proposals to reduce the amount of local programming London Live needs to show every day. The plans were put out to consultation last month by regulator Ofcom due to a legal requirement that is triggered when proposed changes could be perceived as changing the character of a licensed local TV service. According to consultation response documents published by Ofcom, a number of major broadcasters including Channel 4, 5 and UKTV have opposed the changes, citing London Live's prominent position in channel lists and the obligation to screen public service content in return for a high listing. Broadcasters also fear that the changes would effectively create a new commercial rival, as more time is given over to non-local programming. Meanwhile, former bidders for the London local TV licences have also objected to the proposals, including London8. It lost out after London Live promised to provide much higher levels of local programming on TV and online than it is doing now. London8 has called the proposals "unacceptable". However STV, who operate local TV services in Edinburgh and Glasgow came out to support London Live's position, pointing out that local commitments will be "five times in excess" of current regional Chamnel 3 commitments, and that London Live will still be able to "super serve" audiences. 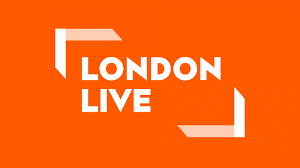 London Live has indicated it needs to make the changes following lower than expected viewing figures, compared to those forecast in a study from the Department for Culture, Media and Sport. In a statement issued in September, it said the changes would "ensure that we focus our resources on key hours where there is the largest audience." It added that the channel will still be broadcasting a significant amount of news - almost 20 hours a week and an hour in peak. Tim Kirkman, Managing Director of London Live, told a516digital last month that his channel outperforms ITVBe, Sky Living, 5USA, Drama and W in audience research figures for the capital. Ofcom will be announcing its decision on London Live's programme commitments shortly. Well its the fault of a certain former culture minister, who was adamant that local TV in the UK would be a success, just like what it is in the USA. If the DCMS have over inflated the predicted audience figures, due to a certain UN-named MPs, well that is their problem, not the fault of the Broadcaster. Both the former culture secretary and also DCMS should be made liable for any losses and failure.